Is democracy a prerequisite for economic growth? What is a Singaporean democracy? How can the problem of trilingualism be solved? What are the prospects for cooperation between Kazakhstan and Singapore, given the implementation of initiatives such as the Belt and Road Initiative? 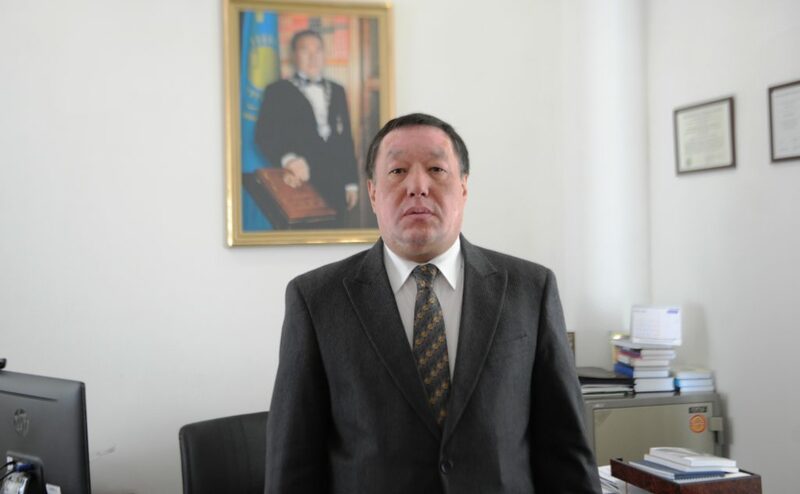 Kazakh Ambassador to Singapore Usen Suleimen spoke about these issues in this interview. There was an active public debate in Singapore about the power transfer to a new generation of leaders. In fact, the new government was formed with the participation of society. By and large, the reshuffling in the government was not large scale. Only four people who reached retirement age left the government; however, this had no effect on their influence. In this regard, a very thoughtful strategy should be noted. For a long time, the government was headed by Emeritus Senior Minister (ESM) Goh Chok Tong, a vocal supporter of Lee Kuan Yew. Over the 14 years of his management, he raised the GDP per capita from $13,000 to $34,000. It conveys a great deal to me. Prime Minister Lee Hsien Loong may resign in 2021 under the constitution. Despite the fact that there are still three years, the process of preparing the fourth generation of the country’s leaders has begun. It is already clear that priority will be given to younger politicians aged 40-55 years. The new government thanked the country’s leadership for the trust and promised to propose a prime minister candidacy within these years. The country’s leadership takes the issue of continuity of power very seriously, while four candidates for the post of head of government are being discussed in society. They are now 40-47 years old and they will reach the 50-year threshold in 2021. I like that they choose people who are ready to work in a team. There is no competition among them; they are ready for any candidacy, just to be in a single team, knowing that, whoever they choose, he or she will treat them as equals. This is a role model of political ethics. This system is very well-thought-out for many years to come. Perhaps, the secret is in that they have motivation. They say ESM proposed raising salaries for government officials. Goh Chok Tong is the person who, even after leaving his post, is still as popular in the country as before. He is responsible for Singapore’s investment policy. He travels around the globe and advises whether Singapore businesses should invest in one country or another. In 2016, he visited Kazakhstan and gave us very good recommendations. Recently on Facebook, he urged the state to consider the possibility of increasing salaries for officials, because many of them are coming from private entities; thus, they are seriously losing income. He cited the example of a minister who, prior to his appointment, worked in a private company and earned $2 million a year and now receives $500,000. He expressed concern that many may refuse to be civil servants, because in private business they earn much more. This caused a certain stir and now there are robust discussions. I do not exclude that a new generation of leaders will raise their salaries and there will be nothing surprising in this. This is because they can afford it. Is it true that it was Lee Kuan Yew who advised our President on the principle “first economy, then politics”? Yes, our President has repeatedly mentioned this in his interviews. Few people know that the West for a long time called Lee Kuan Yew a usurper and an autocrat, accusing him of paying little attention to human rights issues. Nevertheless, 10 years later, when Singapore became an advanced country, the U.S. Congress applauded him with a 10-minute standing ovation. The world loves a winner. After all, Singapore ignored the requirements to comply with the Organisation for Security and Co-operation in Europe (OSCE) standards and Freedom House; there is still no foreign NGOs here and there probably never will be. But it does not mean that human rights were violated. It depends on what is considered as such. Disputes on interfaith and inter-ethnic topics are maximally minimised. But at the same time, housing policy is designed so that apartments are equally distributed between the three major ethnic groups, Indians, Malays and Chinese, so that they live mixed. I worked in the OSCE and consider their standards to be ideal, but the implementation is always crucial. You cannot follow the imposed clichés without taking into account local mentality features. The meaning of human rights is interpreted here as ensuring all its needs: the right to work, education and healthcare. At the same time there is nothing for free, no pensions. A person should personally take care of his or her future as much as possible. Paternalism is excluded at the level of state policy. Nevertheless, social networks in Singapore are an active channel of communication between the government and society. Even high-level officials are not averse to social networks. This indicates a fairly high level of democracy in the society. Absolutely! The prime minister places posts on his feed daily. This indicates a high level of democracy in the true sense of this notion. Consequently, Singapore has broken all the stereotypes of the West, which claims that it is so important to develop civil society. In simple words, there is no civil society in Singapore. There is no opposition in its classical sense, but there is discussion; there is a fairly high level of openness – there is what is called ensuring succession. At the same time, the population, in a good way, is highly politicised and behaves like shareholders, overseeing the work of the board of directors. The point is that there is no criticism here, but the comparison of the level of professionalism. Corporate culture is over-friendly. Last year, the prime minister delivered a message to the people covering only three topics. The first is an increase in grants-in-aid for treating old people with diabetes, the second is an increase in grants-in-aid for pre-school education and the third is an increase in grants-in-aid for the development of a smart city. All other issues have already been resolved. Mechanisms are thought out 15 years ahead; the system runs like clockwork. They wish to have all the best in the world. This is some kind of comprehensive perfectionism in terms of ensuring human self-realisation. In essence, this is a normal social contract based on trust between the authorities and society. The authorities honestly work for their country and its citizens follow the rules of the game. Was this the essence of the country’s strategy? They never forget that the population is small, only five million. Therefore, they decided to focus on quality. The icon of Singapore is high technology; it is the formation of a “smart nation.” This is an ideal thing that can lead to an even more ideal thing. Here, almost everything is automated and digitised, from medical services to government instructions. The country already lives in another dimension. How was the language compromise reached? All the three dominant ethnic groups are bearers of ancient and far from identical cultures. Here is absolute pragmatism. My daughter goes to a public school, a local public school. Everything is in English, but you can choose any foreign language – Malay, Hindi, Chinese. And you know what? It happens that the Malays choose Chinese, the Chinese choose Hindi and the Indians choose Malay. There are no restrictions. You have mentioned that the former prime minister “blessed” Singaporean business to work with Kazakhstan. Nevertheless, the trade turnover between our countries, unfortunately and mildly speaking, is small. What are the constraints for growth? The small turnover is due to the following. One of the largest financial centres in the world, called Singapore, works with large volumes and projects and Kazakhstan is rather a small market for it. Some businesses go for the projects, albeit risky, but large, where they can fulfil their potential to be a major player. But after all, Singapore is a much smaller market. Nevertheless, they were able to attract investment. First of all, Singapore is located at a very important sea hub; millions of tonnes of cargo pass through the Malacca Strait. Second, there are oil refineries that process crude oil crossing the strait. If I am not wrong, the two oil refineries provide one-third of the budget revenue. Thirdly, the world’s largest container port is here and finally, there is a leading financial centre with unprecedented preferences for foreign banks and companies. But most importantly, our region is terra incognitafor them; their knowledge about Kazakhstan is very limited. The country is mainly focused on developing relations with the countries of South-East Asia. However, recent geopolitical changes associated with the U.S. withdrawal from the Trans-Pacific Partnership (12 Asian countries had high hopes for it) could trigger interest in our part of the world. It is natural to assume that China will now immediately take advantage of this, promoting an initiative of comprehensive regional economic partnership through the Association of Southeast Asian Nations (ASEAN). This means that its presence in the South-East Asian markets will grow even more, including in Australia and New Zealand. In this context, the Belt and Road Initiative can help Kazakhstan attract investments not only from Singapore, but also from other countries in this region. The use of the Lianyungang port’s capacity makes it possible to speed up on-land delivery by half compared to sea. Given that almost half out of the 7,700 km falls on our territory, our country can earn at least $5 billion due to transit taxes received from container transportation alone. If we attract money to the infrastructure, then even greater opportunities are available. That means that the sanctions are beneficial in a certain sense. However, there are some unbreakable rules; for example, risk diversification. In particular, the level of Beijing’s presence in Central Asia, and especially in Kazakhstan, is simply off the scale. At the same time, the share of trade with the United States and Europe is falling. Probably, there is a need to work more with Asia without China. I do not think that something worse would happen. It will not be worse. If we analyse the trends in the development of relations between ASEAN countries, the statements that China conquers most of the economies of this region is more and more often heard. Obviously, this makes ASEAN worry, but no one can openly oppose such a strong player as China. However, there is no point for China to aggravate relations. Therefore, we now have a chance to attract attention to ourselves, but this requires Central Asia to create an attractive market for investments. The first steps to this end have already been taken – there is an active formation of a free trade zone between Singapore and the Eurasian Economic Union (EAEU). Of course, Russia is the most promising market for them. But we can derive big dividends from it. Another thing is that this process will be slow and largely depend on how the situation in Russia, Kazakhstan and its neighbours will unfold. Karlygash Ezhenova is the editor-in-chief of Exclusive.kz. This interview first appeared in that magazine.